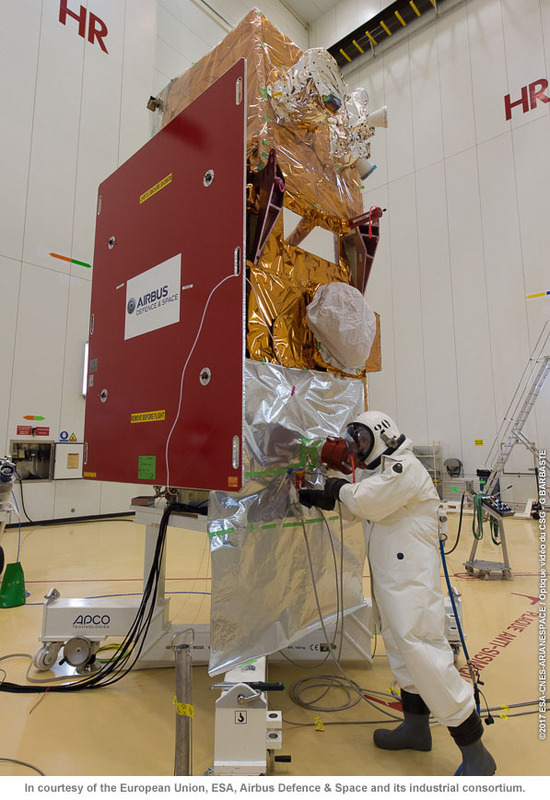 The process of fuelling the Sentinel-2B satellite is underway. This is an extremely hazardous and delicate task so it’s only the fuelling experts, wearing special suits, allowed anywhere near the satellite at this time. This milestone task follows a few issues that haven’t previously been mentioned. 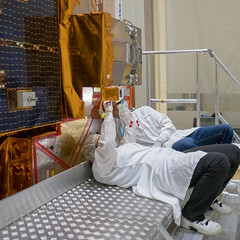 The team found that two types of the solar array connectors didn’t come up to scratch so needed to be carefully inspected and cleaned. This involved deploying the solar array. 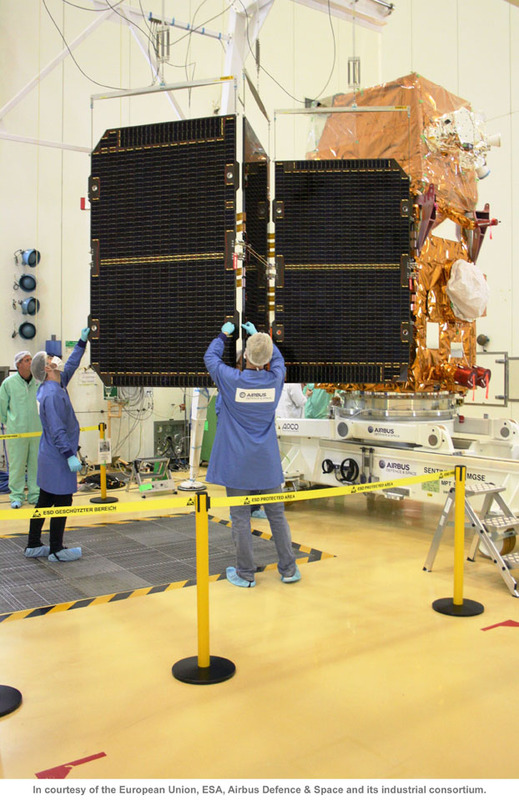 This is exactly what a launch campaign is for – to make sure the satellite is in absolutely perfect condition before it is launched into space! 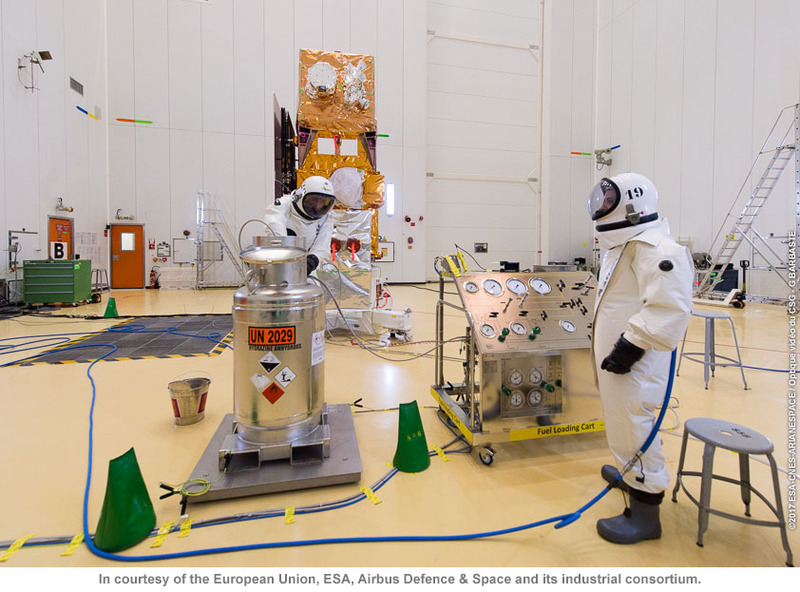 Despite these unexpected jobs, everything is still on schedule, and liftoff remains ‘green’ for liftoff on 7 March at 01:49 GMT (02:49 CET; 22:49 local time on 6 March). On Friday 10 February, the different teams involved will meet for the Operations Readiness Review at ESOC, ESA’s Space Operations Centre in Darmstadt, Germany.